They say “Women are completely harmless, until her nail polish dries!”. We know you love a flawless mani but who can find time in their overloaded schedule to accommodate an appointment every week at the salon? You can achieve it at a quarter of the cash at home. As beauty savvy women, we too have endured the trauma of perfectly primping our nails only to ruin them later in a snap! This is the nail equivalent to scrubbing your skin. Exfoliate your nails with a buffing tool to remove oiliness, residue and to ameliorate the texture. This will not only enable a smooth application, but it will also increase the longevity of your effort. 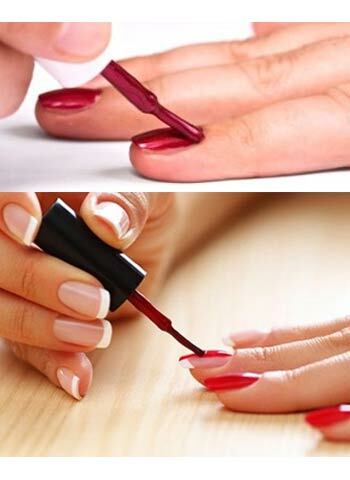 Nail polish contains harsh unfriendly chemicals that may deteriorate the natural colour of your nails. To avoid that mishap, using a base coat is mandatory. Plus, it makes your polish last for days. Ideally, your nail polish should be “done” in three strokes which enables an even distribution of colour and streak free application. Start by drawing a thin line down the centre, followed by two lines on either side. 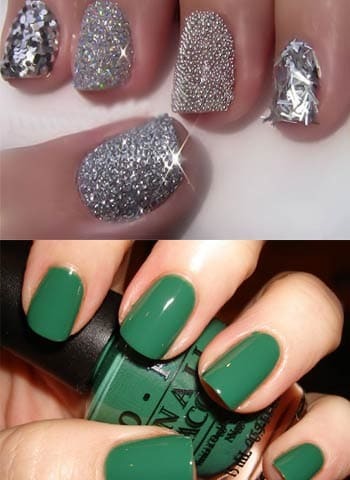 A thin veil of colour will adhere to your nails better than thick heavy coats. A chunkier coat is also more prone to chipping and wear and tear. Finish off with a top coat to seal all your hard work into place. It instantly boosts shine and helps in making your nail polish stand the test of time. When you’re done, you can clean up further by dipping a lip brush in nail polish remover and tidying up any paint that may have escaped. Also, remember to stay away from fast drying polishes as they’re extremely dry and unhealthy for your nails. It is also worth knowing that glitter polish lasts much longer than its non sparkly counterpart.